One of the leading Food Companies in UAE UNIKAI FOODS P.J.S.C. urgently hiring staff. Company Name : UNIKAI FOODS P.J.S.C. 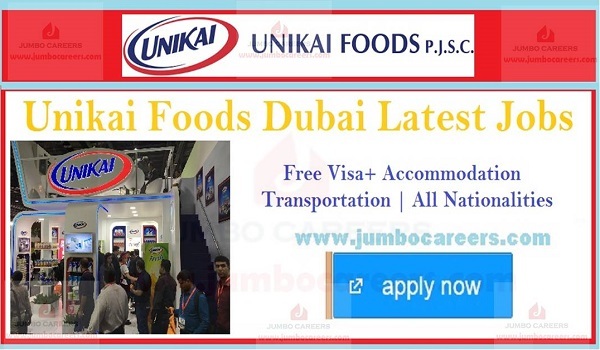 How to Apply for latest jobs at Unikai foods Dubai March 2019- Attend Now. Location : UNIKAI FOODS Head Office Al Meydan Road near Dubai Bowling Center, Al Quoz 1, Dubai, U.A.E.